The 39th Portland International Film Festival, the Northwest Film Center’s annual showcase of new world cinema, took place 11–27 February at the Portland Art Museum. It used doughnuts—many flag-themed—to transmit the message of internationalism in posters, on its website, and in its trailer (from which these images were clipped). Portland’s very own world-famous Voodoo Doughnuts provided the actual flag-pastries. Note the excellent choice of a maple-frosted item to represent Canada. This got us thinking about the intersection of doughnuts and flags. Enjoy, but consume in moderation. The disciplines of vexillology and psephology (the scientific study of elections) have many commonalities: both focus on how design and representation intersect. New Zealand’s 2015–16 Flag Referendums caused these two worlds to collide. This article assesses the process and the results of the first round of voting and links the flag referendums to fundamental theories from the scholarly literature on voting. While the first referendum produced a winning design that is facing off against the current national flag during the second round, the outcome of the vote may not reflect the “people’s will”. In the first Flag Referendum, held 20 November–11 December 2015, New Zealanders voted on five designs to determine which would challenge the current national flag in March 2016. The first design (Option A), features a white fern frond extending diagonally from the bottom left and dividing the flag into black (left) and blue (right) sections. The black section occupies the canton area, but is roughly triangular in shape. The blue section covers approximately three quarters of the flag area and includes four red stars, outlined in white, in the shape of the Southern Cross (I call it Silver Fern A). The second design, Option B, is called “Red Peak”. The flag features a large, white chevron, with the upper left colored black, upper right colored blue, and the center triangle colored red. Option C, called “Koru”, features a black and white design. The right half of the flag is black, with a black spiral extending into the white (left) half. The Koru is a traditional Maori fern symbol, representing “…new life, growth, strength, and peace…” and is featured on the national Maori flag as well. Option D (Silver Fern D) is also black and white, with a fern frond extending from lower left to upper right. The right side of the flag is black with a white frond; the left side features the opposite colors. The final design, Option E (Silver Fern E), is virtually identical to Silver Fern A stylistically, but features a different color palette. Notably, the areas of Silver Fern A that were black are instead red. To win the first round of voting, a flag design needed to garner 50% +1 of the first-preference votes. If no design received a majority in the first round, the lowest-performing design would be eliminated and its second-place votes would be distributed to the remaining designs. Any ballots from the losing design that did not have second-preferences selected would be eliminated from the count, and the majority needed to win would be recalculated based on the new valid vote total. If no design were to receive a majority in the second round, the next lowest-performing design would be eliminated and its lower-level preferences would be distributed among the remaining designs. In the third round of preference vote distribution, third preference votes might be included as supporters of the design eliminated in the first round may have chosen the design eliminated in round two as their second preference. Ballots without valid second- or third-preferences would be eliminated and the victory threshold once again recalculated. The process would continue until an option received the requisite majority of valid votes. 1,546,734 citizens submitted votes, constituting 48.8% of registered voters. Overall, turnout was lower than in national parliamentary elections, and toward the low end of public referendums. Of the thirteen past referendums held in New Zealand, the Flag Referendum has the third lowest turnout, surpassing only the Fire Service Referendum of 1995 (27.0%) and the Energy Referendum of 2013 (45.1%). The turnout data suggest that participation by Maori citizens was lower than non-Maoris. New Zealand has two types of districts: general and Maori. The Maori districts overlap general electorates, but are designed to accommodate and better represent the Maori people in parliamentary elections. Turnout in Maori constituencies, and in Manukau City (South Auckland), was substantially lower than in most other districts. While participation ranged from 37.9% to 60.1% outside of these areas, turnout in the Maori regions and Manukau City ranged from 23.7% to 30.5%. Unfortunately, New Zealand did not publish constituency-level data on voting preferences in the first round. If those data were available, we would be able to investigate how preferences in flag design varied by region, and we could develop some sense of the rank-ordered preferences of different regions. The first round results produced clear preferences for fern-based designs. Options A, D, and E garnered 87% of the valid first-preference votes. Red Peak took 9%, and Koru 4%. The first flag to be eliminated was Option C (Koru); its second-preference votes were distributed to the remaining competitors. If no second-preference was listed, the votes were rendered non-transferable. Koru’s 52,710 votes were distributed to Silver Fern D (37%), Red Peak (24%), Non-Transferable (22%), Silver Fern A (10%), and Silver Fern E (8%). The second preferences for Koru voters demonstrated greater support for the designs that did not feature the Southern Cross. The second-preference votes of the two Southern Cross designs did not exceed the non-transferable sum; in short, more supporters of Koru preferred no other option than the sum of those who preferred to retain the Southern Cross. The top second-preference for Koru supporters was the other black and white design, Silver Fern D; and Red Peak. 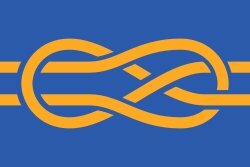 With caution interpreting individual preferences from aggregate vote tallies, it seems that Koru supporters generally desired a replacement flag with limited references to the status quo design. Because the first round of vote redistribution did not yield a majority winner, a second design was eliminated and the votes were redistributed. Interpreting the second round of vote redistribution becomes more complicated as the second preferences of the eliminated flag are redistributed along with the third preferences of Koru supporters who identified the eliminated flag as their second preference. Silver Fern D was eliminated second, with 12,708 of its 98,595 votes (13%) deemed non-transferable. The remaining votes were allocated to Silver Fern A (49%), Silver Fern E (23%), and Red Peak (15%). This redistribution favors both design and color scheme. The black-oriented Silver Fern A design garnered far more preference votes in this distribution than the alternatives. These votes likely include second-preference Silver Fern D votes, and third-preference Koru votes. In other words, voters who supported black/white designs seem to exhibit a preference for the version of the Silver Fern that refers least to the current national flag. Red Peak was eliminated in the third and final distribution round. This round of voting produced the winner: Silver Fern A. Red Peak’s 149,321 votes were distributed to Silver Fern A (39%) and Silver Fern E (32%), with 29% non-transferable. Red Peak’s votes—emanating from first-preference votes for it as well as lower-level preferences for Silver Fern D and Koru—were divided almost in thirds, with somewhat more support for the winning design and somewhat less support for no alternative. If 35% of the voters whose ballots contained no additional preferences in the third distribution round had selected Silver Fern E, it would have been victorious. Overall, New Zealand’s voters expressed substantially stronger preferences for designs featuring the Southern Cross than the alternatives. Combined, Silver Fern A and E received 82% of first preference votes. Silver Fern E, which received the most first-preference votes, ultimately lost the balloting because transfers from losing options—especially Koru and Silver Fern D—favored the less traditionally-colored alternative. Does the victory of Silver Fern A in the first Flag Referendum accurately reflect the preferences of the New Zealand electorate? Two issues raise questions about the outcome: the distribution of non-voter preferences and the problems inherent in selecting a winner among more than two alternatives. From a normative perspective, the turnout for New Zealand’s Flag Referendum could raise questions about the representativeness of the outcome. Fewer than half of eligible voters participated, and the final design was ultimately preferred by just over 50% of the voters. This means that only around 25% of eligible voters cast a vote for the winning option. If we assume that the distribution of preferences among non-voters is similar to the distribution of preferences among voters, then no concerns arise about the appropriateness of the choice. Under these assumptions, full participation would yield the same outcome. But, if the distribution of preferences among non-voters differs from participants, and non-voting is related to an important feature of voters, then the outcome may not reflect the “people’s will”. As noted above, turnout in Maori regions seems to lag behind general districts, suggesting that non-participation may be linked systematically to meaningful population features. Whether or not these features are related to voting preferences for one or more of the designs is unknown. However, if non-voters systematically favored an alternative design, their non-participation could have altered the outcome. The only method of choice that satisfies the conditions of logic and fairness outlined by Arrow is a majority vote with a binary choice.6 But true binary choices are rare. Often they are manufactured by a mechanism designed to reduce choices to two, but this mechanism does not meet the criteria for logical and fair choice. The second Flag Referendum is an example of ersatz binary choice. Thousands of original designs were constrained to four by a committee, and this choice was subsequently expanded to five through a petition and legislative action. The final step to a binary choice was the first round of the referendum. However, if New Zealand voters had been asked a question about retaining or replacing the current design (status quo) with a majority vote, the outcome could have been interpreted as reflecting the “people’s will”. While it would not have yielded a new design, the results of this vote would have answered a binary choice: to keep or discard the current flag. But, even if the people of New Zealand supported the replacement of the current flag, the method of choosing the replacement cannot unambiguously yield an outcome that can be labeled the “people’s will”. The first round of New Zealand’s Flag Referendum gave citizens unprecedented influence over the design of the national flag. An open process permitted thousands of designs to be solicited and considered; a petition process allowed a fifth design to be added to the ballot; and preference voting provided citizens the opportunity to cast sincere preferences rather than voting strategically. The 3–24 March 2016 vote will determine if Silver Fern A will replace the current flag; a majority vote of participants will determine the fate of the flag. If Silver Fern A is victorious, it is important to remember that it may not be the most preferred alternative to the status quo, but simply the design that successfully passed through the process. Similarly, if Silver Fern A fails to defeat the current flag, it does not mean that New Zealanders are rejecting a new flag. It will only mean that they prefer the status quo to the alternative presented; a different alternative potentially could have emerged victorious in a head-to-head battle with the current flag. Regardless of the outcome, New Zealand has set a valuable precedent for engaging the public in flag design questions. Flags serve a critical symbolic role, providing a focal point for national pride and illustrating how a society views its past, present, and future. New designs imposed without public votes can be embraced, as in Canada in 1965, and they can be rejected, as was the proposed flag for Iraq in 2004. By engaging the public in the process, the final decision may have a better chance of being embraced quickly, whether or not it can be portrayed as a manifestation of the “people’s will”. Ballots without clearly defined first preferences were deemed to be “informal votes”. The total number of informal votes was 148,022. Riker, William. 1982. Liberalism Against Populism: A Confrontation Between the Theory of Democracy and the Theory of Social Choice. Prospect Heights: Waveland Press. The specific voting rules used for the Flag Referendum, a variant of Single Transferable Vote (STV), can fail the condition of monotonicity. This condition requires that if a society makes a decision to select social choice x over the alternative choice y, and the preferences expressed for x are not lowered in any individual rank-ordering, then x should remain the social choice. It is important to note that counterfactuals—or examples that assume a different historical path was chosen—can be problematic. It is possible that voters would have behaved differently if a plurality rule were used, voting strategically instead of sincerely. That is, if supporters of Koru, Silver Fern D, and Red Peak understood that their preferred designs were likely to lose, they may have voted for a more likely winner if the formula was plurality. STV systems encourage sincere voting whereas plurality systems encourage strategic voting. Saari, Donald. 2001. Decisions and Elections. Cambridge: Cambridge University Press. Black, Duncan. 1948. “On the Rationale of Group Decision Making.” Journal of Political Economy. 56(1):22-34. How would you re-design the US flag?